The idea of travelling in the Middle East may seem fraught with difficulties, given much of the region’s turbulent political climate – but Jordan is a country that offers a relatively easy introduction. It is fairly compact, and has a superb transport network to boot, meaning you can explore a great deal of the country even in a short trip. You can combine visits to natural, cultural and historical sites with lazy days on the beach — creating a diverse trip packed in to just a week or two. Can you recommend any other places to visit in Jordan? The country’s capital, Amman, may not be packed with high profile tourist attractions, but it is still a fascinating place. First off, it is home to many Roman relics including the Ampitheatre, the Temple of Herakles, and a Nymphaeum. The Citadel is a great spot for watching the sun set, and the Ummayad Palace offers great views over the city. The National Archaeological Museum holds treasures from all over Jordan, while in complete there are modern shopping malls, luxury hotels and high-end restaurants for travellers who want to splurge and treat themselves. Atmospheric cafés and bars can be found in funky Rainbow St, a cobblestoned street that’s experienced a revival in recent years, and is now lined with sheesha tea shops, antique stores, and the famed Falafel al-Quds – said to serve up the best falafels in the Middle East! The impressive ‘lost city’ of Petra is one of the Middle East’s most incredible sights: a UNESCO World Heritage Site that features beautiful rock-cut architecture including tombs, temples, and Byzantine mosaics. Travellers can explore the many tombs and ruins then trek hundreds of steps up to the Monastery, which is the highest point. This scenic valley is popular with climbers, trekkers and other adventure travellers, carved into the sandstone and granite rock in the south of the country about 37 miles east of Aqaba. Inhabited by human cultures since prehistoric times, Wadi Rum is home to wonderful rock formations, ancient rock paintings, temples and Bedouin tribes. 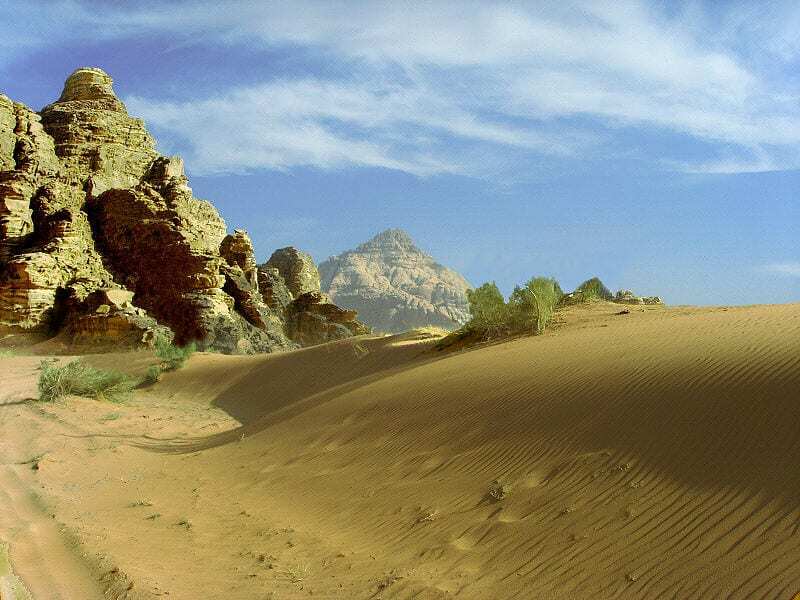 Tourists can easily arrange a 4WD tour of the valley’s sites, often with an overnight stay in a Bedouin camp. The ancient crusader stronghold of Karak is another of Jordan’s top sights: a city that’s home to an impressive hilltop castle located within the old city walls, offering views of the Dead Sea. Jordan is almost landlocked, but does enjoy a couple of small coastal areas. 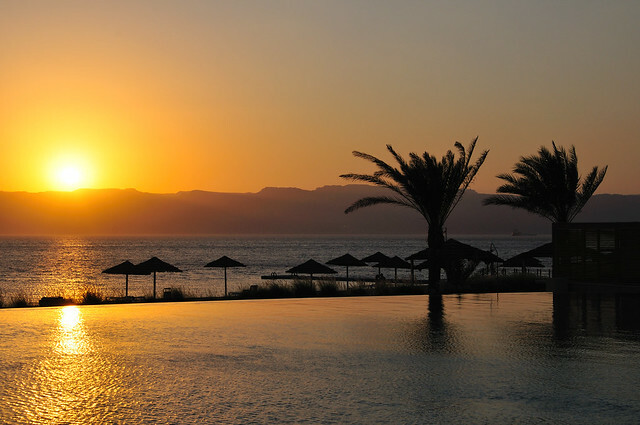 On the Red Sea, Aqaba is Jordan’s southernmost city with year-round sunshine and some of the Red Sea’s best reefs for snorkelling and diving, as well as some great restaurants where you can try the local food. If you head for the Dead Sea, on the other hand, you will be at the lowest point on earth, and can enjoy floating effortlessly in the salty waters. Most visits to Jordan are trouble-free, crime levels are generally low, and when protests do take place they are usually peaceful. Medical facilities outside of the capital are basic, and in an emergency travellers should head back to Amman. Take out travel insurance that includes adequate medical cover – and protects you in the event of unexpected losses or expenses such as lost luggage, stolen cash and credit cards, or cancelled/missed flights. Hopefully you won’t experience any of these things, but it’s good to travel with the peace of mind that you’re covered, just in case! Living in the ME Jordan is one of our closest travel destinations and we’ve been twice and loved it – Jerash was amazing – an old Roman city in the north, and also Madaba is a fabulously chilled town south of Aman with great food and roman mosaics – lots of other hidden gems but those 2 I’d definitely recommend! I’ve never been in middle east, just stopped there once or twice in dubai because I was flying with emirates but I think after seeing these pictures I’m totally going for spring. Any idea what the weather’s like these days over there? I have no idea Gael. I’m guessing it would be hot all year round? The weather in Jordan is lovely in the spring , not as hot as you probably thought. The climate in Jordan is largely desert, arid and dry, with influences of Mediterranean climate in western areas close to the coast. The country is characterized by two seasons, the hot and dry summer between May and October and the relatively cool and wet season between November and April. The winter months between November and March are cold, with rain and rarely snow on the highest peaks. Most rains occur between November and March. The average annual rainfall varies between 400 mm in north-west near the Jordan Valley and less than 100 mm in the southern areas of the country, the capital Amman receives an average of 280 mm of rain a year. Its cold now adays over there. It was snowing over the last week. End of Mar and April is the best time during spring season. Jordan is totally on my list of places to go. I’ve yet to visit the Middle East, but I will soon. Thanks for the insight. I had a great time in Jordan, but there are definitely some caveats I would give to anyone I encouraged to go there. It’s expensive – very much so, one of the most expensive countries I’ve visited. There is almost no backpacker style accommodation, and if you’re in the off-season (as I was) you can get a cheap hotel for about twice the price of a cheap hotel in peak season in many other countries! Of course there’s no point comparing it to much cheaper developing countries, but it’s important to note: for all it’s souks and ancient alleyways, Jordan is a rich, first-world country. Bargains to be had here are few and far between. 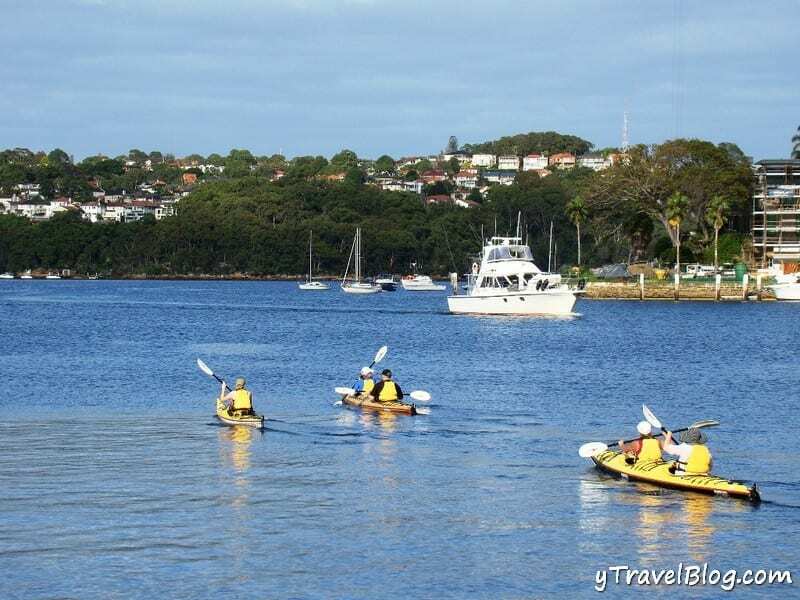 The sights – you have to see them! They truly are breathtaking. Petra costs £50 ($80) for one person, for one day’s admission. You can’t miss it – it’s why most people go to Jordan in the first place – but remember to budget for it! We had an old guidebook and were a bit shocked to learn that the entry price has more than DOUBLED in the last 12 months. There’s loads to see and do in Jordan, and I agree with one of the commenters above who recommended Jerash – it’s probably the most mazing Roman city in the world, I lost a whole day there and could easily have lost three. Book in to see the Chariot show there – again, pricey, but well worth it – the ‘gladiators’ are drawn from the Jordanian army special forces, and some of them are truly spectacular up close! Go in March/April if you’re planning a trip soon – I went in may and it was getting uncomfortably hot, especially for long days of clambouring around ruins. June/July/August is a complete no go, unless you were born in the north of Australia or sub-saharan Africa! Awesome Tony!! Thanks so much for leaving such a helpful comment for our readers. Some really great tips here which I’m sure anyone going to Jordan will find useful. 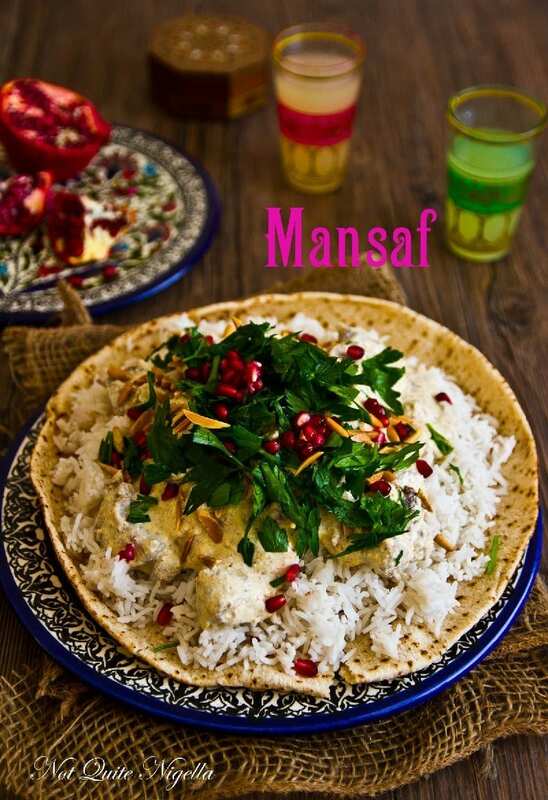 I will make sure I steer clear of Mansaf!! Thanks for the post! Jordan has been on my list for a while (mostly because I want to see Petra) but it looks like this country might have more to offer than I had realized! 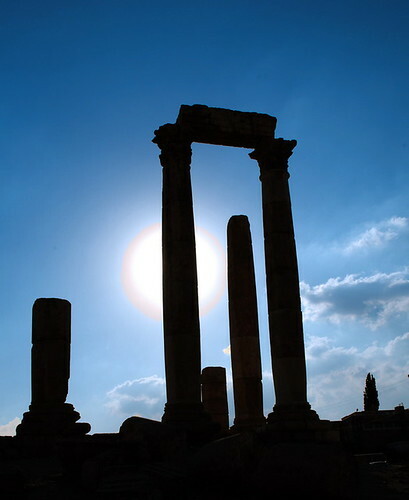 For those who would like to visit Jordan, check out our website http://www.BeAmman.com a guide to the city of Amman. We can help you with any questions or concerns during your visit or prior to your arrival. 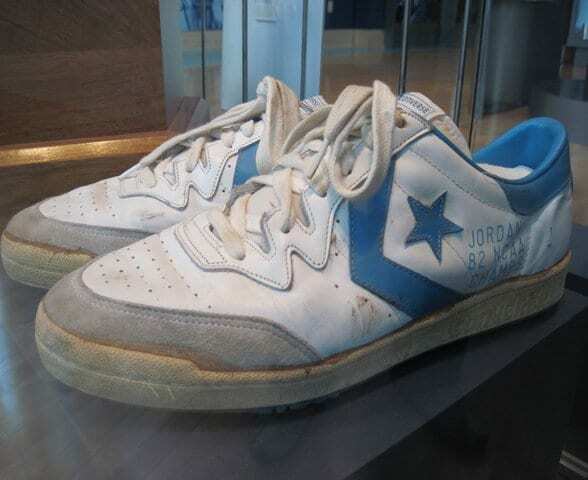 I had not visited Jordan but had heard that it is worth to visit for once. Is it so? Anyways, thanks for sharing informative post. Liked reading it. Just as Kirsty said, I loved Jerash! About a year ago I did a tour from Israel to Jordan. It was quite short, but so lovely! 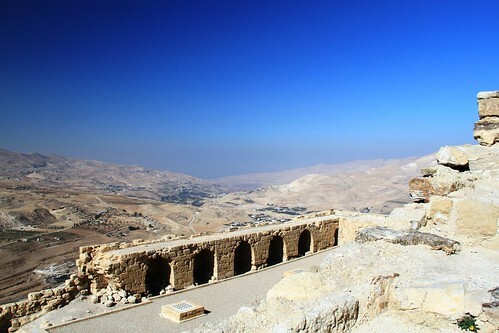 We visited Aman, Jerash and Petra. Also… The food in Jordan… Unbelievable!